Welcome to the New Year! Hopefully, you rung in 2019 your way and are ready to get this year off to a great start. The awesome thing about a new year is that it gives you a fresh slate and can motivate you to push yourself. For businesses that can mean a lot of things. Hopefully, you’ll be able to really make your business shine in 2019 and achieve more than you thought possible. The best way to do this is with better exposure. Luckily, SignBoss can help you there. Make 2019 a great year for your business with these signage products we recommend for getting your name out there! 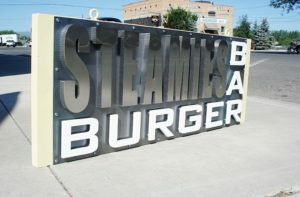 One of the best ways to make sure people recognize your business, your brand, and your name is with a sign. It sounds simple, but in reality, a good sign can make all the difference. Not only does a sign advertise your business, it sets you apart from your competitors. Your brand is unique, and your sign shows that off. It also gives people a landmark to help identify your location and build familiarity with who you are and what you do. The location, size, color, and style of your sign can all have a major influence on the amount and type of exposure you get. But we’re signage experts, so we can help you identify what kind of sign will work best for you and the optimal location for getting you business in 2019. Another great product for helping build your brand this year is with promotional products. Free stuff is a cornerstone of name recognition and building trust. A branded item that can be handed out at events, or even as a client or customer is leaving your location can turn a stranger into a valued part of your business. Not only are they more likely to remember you and use your products or services, but they have a great reference for when friends or neighbors ask them for recommendations. Nothing beats a word of mouth endorsement! If you really want to make a big impact this year, a vehicle wrap or vehicle graphics can help get your branding mobile. 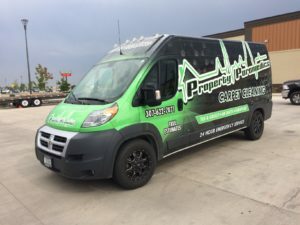 A vehicle wrap or graphic is like a mobile billboard. It helps get your name beyond the reaches of your static advertising. It puts your name out on the road and in communities where valued customers may have never had an opportunity to see your branding or advertising. This can help you push your business farther and target new markets in the new year. If any of these sound like a suitable option for your business in 2019, contact our team today. We can help you with these or a number of other products that may help you grow and achieve more this year!